Consumers in the United States say television and print are the advertising mediums that they trust most, according to recent research from Clutch. 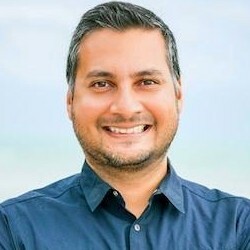 The report was based on data from a survey of 1,030 consumers in the United States who had seen or heard an advertisement in the previous week; 28% of respondents were age 18-34, 40% were 35-54, and 32% were 55 and older. 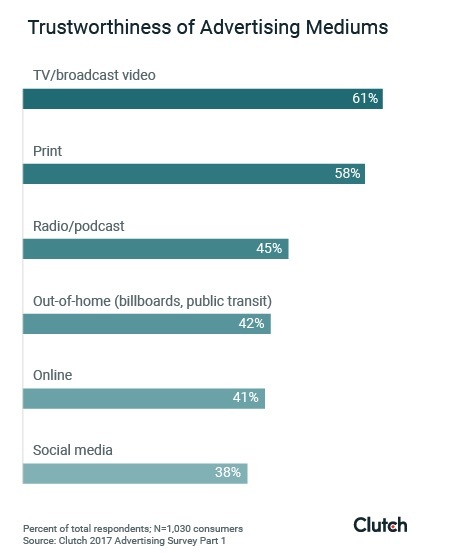 Some 61% of respondents trust TV/broadcast video; 58% trust print; 45%, radio/podcast; 42%, out-of-home/billboards; 41%, online; and 38%, social media.